Leeds Castle in Kent, just over an hour from London, is a stunning historical venue surrounded by 500 acres of Kentish parkland and formal gardens. 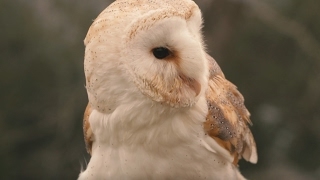 The beautiful and tranquil surroundings offer impressive meeting rooms, vast parkland for team-building activities, award-winning banqueting facilities, luxury accommodation, an on-site Falconry Centre, a Golf course, Go Ape Tree Top Adventure and Segway Tours. The almost 900-year-old Leeds Castle has a roll-call of previous royal owners and was once inhabitited by six medieval queens, Henry VIII and many other historical figures. Today it offers a selection of venues that cater for meetings, conferences, corporate dining and celebrations. The Castle has been famous for welcoming royalty, politicians and stars of the silver screen to celebrate special events. From intimate dinner parties in the Castle Dining Room, to anniversary banquets and business milestones, there's no better place to hold conferences and celebrations. The Castle offers exclusive packages for you to entertain clients, colleagues and friends in true VIP style. From top secret World War II discussions to the Northern Ireland Peace Talks, Leeds Castle has always been a tranquil haven for productive meetings and seminars, clear thinking and inspiring ideas. From Spring 2018 there will also be the chance to hire out the newly restored Battel Hall, a 14th century medieval manor situated on the edge of the Leeds Castle estate. Whether you wish to entertain clients, reward staff, plan for the future or strengthen your team cohesion - Leeds Castle is the perfect venue to exceed all of your expectations. Leeds Castle is also now welcoming bookings for conferences and corporate retreats at their newly-restored 14th Century manor-house, Battel Hall. Battel Hall is opening on an exclusive hire basis for the first time in its 700-year history, and is situated on the edge of the Leeds Castle estate amongst 500 acres of Kentish parkland. With on-site accommodation for up to 14 people, Battel Hall offers a private, idyllic setting in which to relax and enjoy exclusively, with the added benefit of access to Leeds Castle’s estate activities and facilities. There is even the option to have a skilled chef on request to cook you breakfast and dinner throughout your stay. For larger conferences and meetings held at Leeds Castle, Battel Hall also serves as a perfect break out space with premium accommodation for top executives. Further accommodation is available to book within the Castle grounds. and the Channel Ports, with excellent links to the UK motorway network. 7 miles east of Maidstone, Junction 8 of the M20 motorway just 1 hour from London, 30 minutes from the Channel Tunnel and Channel Ports. Clearly sign posted from all routes - following the brown and white tourist signs. If travelling by train, we recommend travelling to Bearsted Station or Hollingbourne Station. "When we booked Leeds Castle as a venue for our Sales & Marketing conference we knew it would be special. We were looking for something different which would energise and stimulate our delegates. We were certainly not disappointed! The setting was magnificent and the food and organization was excellent. Last minute changes, including a doubling of the delegates, was dealt with in a professional and accommodating manner. All staff were efficient, courteous and very approachable. By the end of the conference, I felt I had made some new friends. This was a truly unique, wonderful and unforgettable experience. Nice job Leeds Castle!" "I just wanted to say a big thank you for our event last night. The staff were amazing and everything ran so smoothly. I have had really good feedback on not only the location and how lovely Leeds Castle is but on the quality of the Leeds Castle personnel, the layout of the Henry VIII Banqueting Hall, the tours provided by your excellent tour guides and the amazing food. We’ve had so many comments about how this was one of the nicest events that anyone has been to for some time. Thanks so much and I am sure we will be back in the near future." "I wanted to write to you to thank you for your help in pulling together our 'More than a Million' event this week, and the impeccable service we and our guests received throughout our stay. Your team were fantastic, I'd particularly like to mention Liam the Butler, who took over every part of our evening arrangements and reassured me that he had everything under control. Everyone showed great flexibility with our changing rooming lists up to the event, and extra requests whilst there such as early breakfast for some guests, which was much appreciated and made our job so much easier. Our guests thoroughly enjoyed the tours of the castle, conducted by wonderful tour guides with such enthusiasm and knowledge. Our guests, especially those from Continental Europe, were really 'wowed' by the classical English venue - it was the ideal setting for our VIP event. Hopefully we will have occasion to work with you again soon." “We chose Leeds Castle as a venue because it is synonymous with the perception of the St. James’s Place brand – quality, impact, a statement and the ‘wow factor’. We wanted people to arrive at somewhere special that made them feel valued. 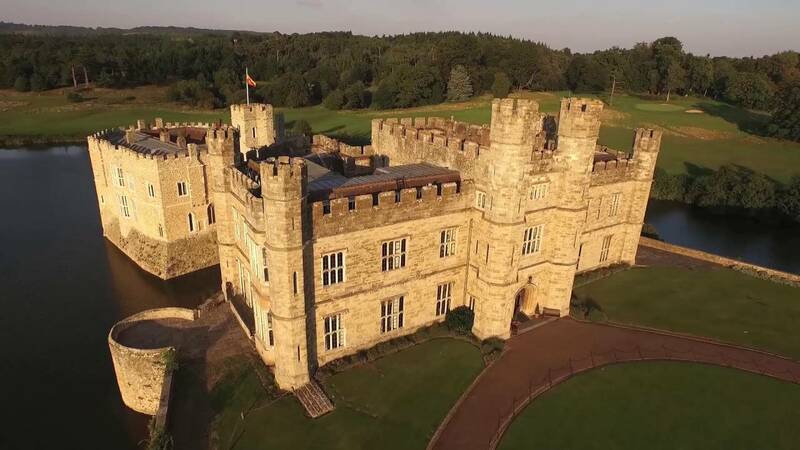 "I was looking for a venue with a difference for our conference and I found out about Leeds Castle online, I was fascinated and amazed by the venue, after reading online about their service and the facilities they offer I was very impressed. The idea of holding our meeting and staying in a castle in the Kent countryside was extremely appealing. On the first day of our event, we ran a medieval themed team building activity in the Estate Parkland, which also included a GPS treasure hunt around the beautiful maze. From my initial enquiry and throughout the event the staff were excellent, very helpful and also on stand-by if we had any enquires. We held meetings in the Tudor Maiden’s Tower, which offered a blank canvas for our activities – with its own private garden. Additionally the food was delicious, from the breakfast, to the lunch and not forgetting the award wining dinners served by a real Castle Butler in the Banqueting Hall. Everything was excellent from the catering to the beautify bedrooms. We had such an amazing time that we are still talking about it now. Leeds Castle is truly a magical place and the best conference facility we have been to not other conference facility can beat this. If you are looking for perfection for your conference this is the place to definitely go." "Thank you so much for the way in which you and your team made Quo Vadis Conference so special this year. Your team and everyone involved in Leeds Castle are absolutely amazing; the planning this year was so easy for us simply because of the professionalism of your staff. We were wondering, do you send all of your staff on a customer care course? Because, even the security guards in their little huts were so courteous and friendly. We cannot thank you enough for making Quo Vadis so memorable for us and for everyone who attended."